IML Solutions’ hybrid robots have been designed to provide versatility, reliability and robustness since its start-up. Your IML system, alwasy ready. Forget about complicated changes. Our robots will allow you to swicht from one format for another in a easy way. It does not matter if your room is limited, the hybrid robot can adapt to your needs. 360º vision system for quality control. 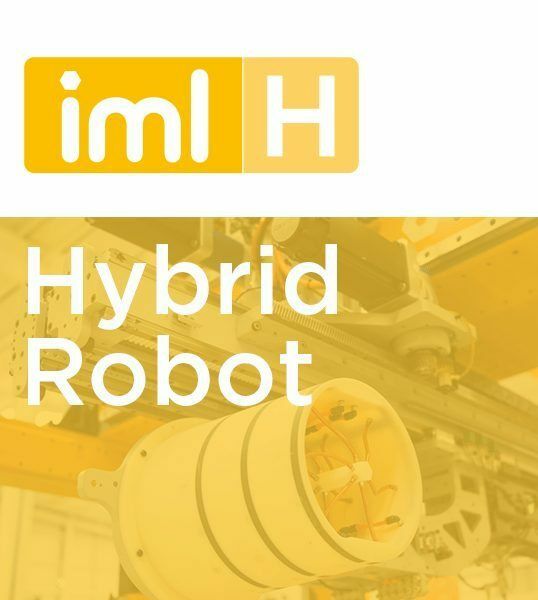 IML Solutions’ hybrid robots are the perfect option for those who seek versatility combined with medium and fast cycle times. Its unique designed allows to use different formats in one system, with quick EOAT changes and opening stroke reduction. Due to its 3D movements it reaches an optimized production. 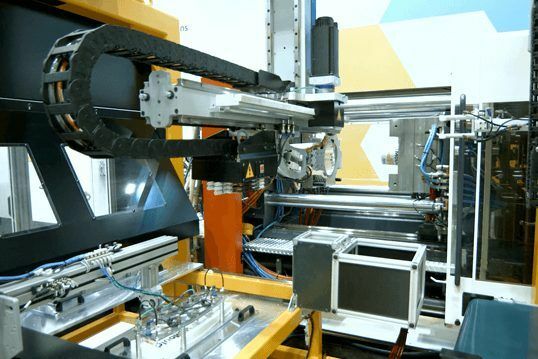 IML Solutions’ hybrid robot adapts to your needs, offering 3, 4 and 6 axis configuration.